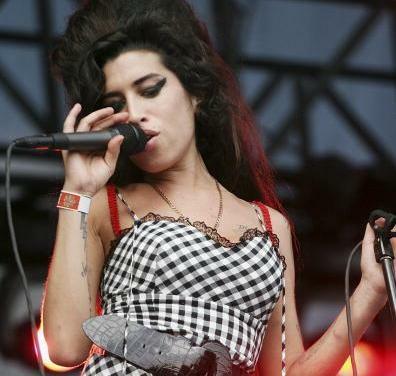 It was difficult to hear about Amy Winehouse’s passing. 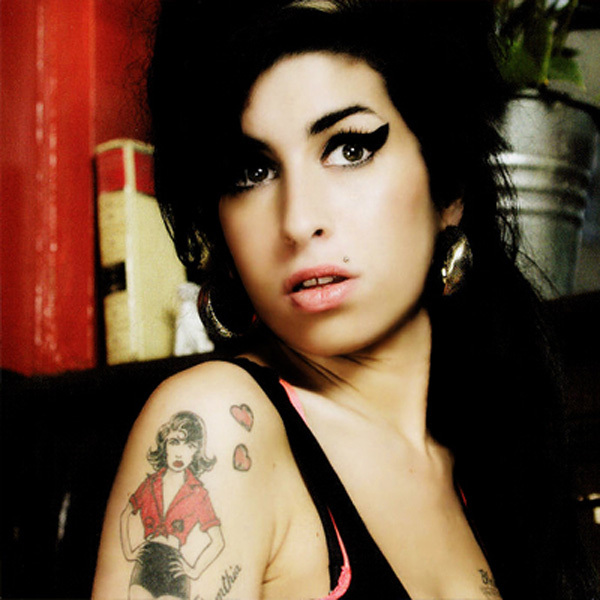 I was driving down to Birmingham going through the channels on Sirius when I got a read out on the screen, AMY WINEHOUSE RIP with an 800 number to get in on the conversation. Modern technology, getting news on my car’s entertainment read out, a little stunned, while driving 75 miles per hour, dialing through my car’s Bluetooth capability, hands free and sitting on hold for twenty minutes to share my thoughts on Sirius Radio. I knew exactly what I was going to talk about. 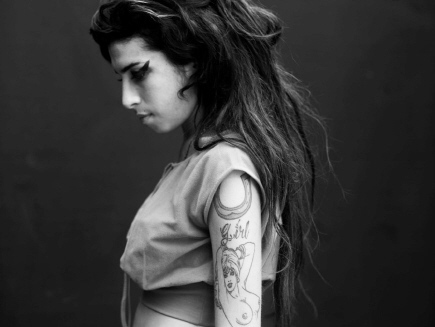 It was the conversation I had with my sister a few months after the release of Back To Black. “She’s such a mess, what do people see in her?” was the basic question. I said, “Have you really listened to the album?” “Well, I’ve heard “Rehab”, it’s not bad”. We took off in my car with the decent stereo back in 2007, going through track by track. She really got into it. She really enjoyed the record. It is a masterpiece, not only the vocal stylist of our time, much the way Billie Holiday and Patsy Cline were in their day. 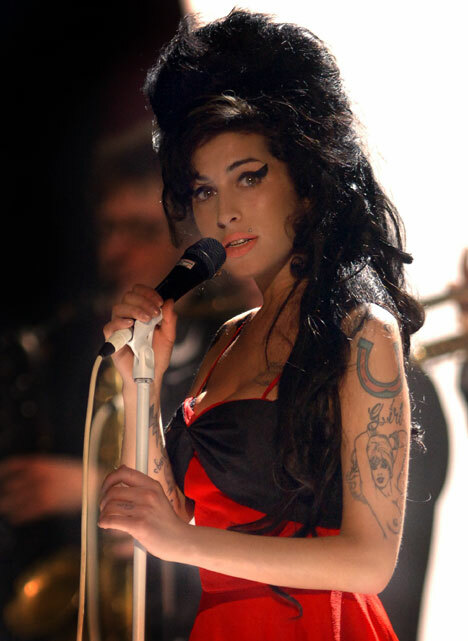 In fact, Amy worked with Producer, Mark Ronson, who was a perfect foil to develop soulful nirvana, using the fabulous Dap Kings out of Brooklyn, New York for the basic tracks before adding lush strings with a mix of Motown, Spector, Soul and stuff that would fit the Rat Pack. What a gold mine, this was a Jazz voice, original in tone and texture with an obvious lineage. I couldn’t wait for the follow up. From what I can tell there was at least one aborted record and possibly another. Hopefully they will be released post-humously. There have been a lot of so-called authentic voices put on a pedestal over the last decade, but she was “The Voice, Voce Divina”. So what do you make of erratic, dramatic behavior and all the mess with drugs? Well, I can’t make any excuses. All I can say, is I have had this conversation more than once over the years. Singers, Musicians, Actors, Comics, okay Entertainers in general; in fact most of the ones that I know that are really part of that world, like I was, come from difficult situations. Divorce, broken homes, death of parents at a young age, many things can trigger a deep interest in music and the need to express one’s deep feelings through that gift. Musicians feel deeply and tend to self medicate in order to deal with that depth of emotion. I won’t make any excuses about drug abuse, but, we need to look at things in a real way. Most of us, if not all, have family or friends dealing with addiction. It really only takes an addictive personality to cross paths with drugs to cause real havoc. It does show the importance of the choices we make, because some of the choices we make can end up being an addiction that begins to make choices for us. I can’t judge her situation. I have too many friends with the same elephant in the middle of the road. There are many icons that dealt with the same issues under the radar before modern technomania. I feel real genius is difficult to deal with. 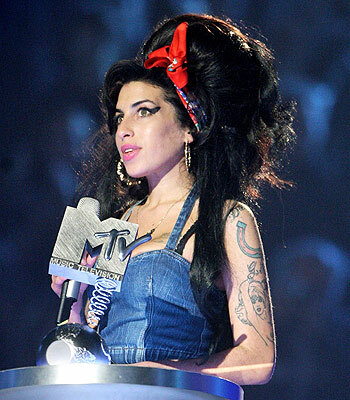 When she received awards for Back To Black, Amy would not talk about what a great job she did, but instead would say that it proved that England was legitimate, that England had a real scene. Amy put it on the table not only for her but to encourage the other Artists back home. Let the music speak for itself. She will be missed. You managed to find some really beautiful pics of her! lets hope all that talent continues in Heaven!